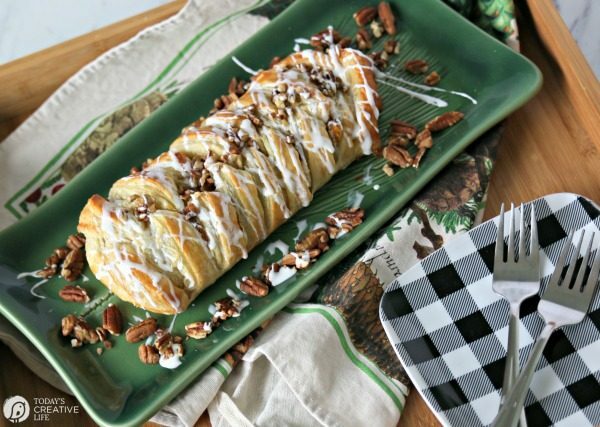 A puff pastry braid is an easy dessert or brunch idea that everyone loves. 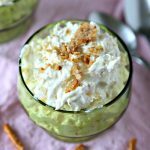 With the holiday season fast approaching, It’s always nice to have a few easy appetizer and dessert ideas handy for quick entertaining! 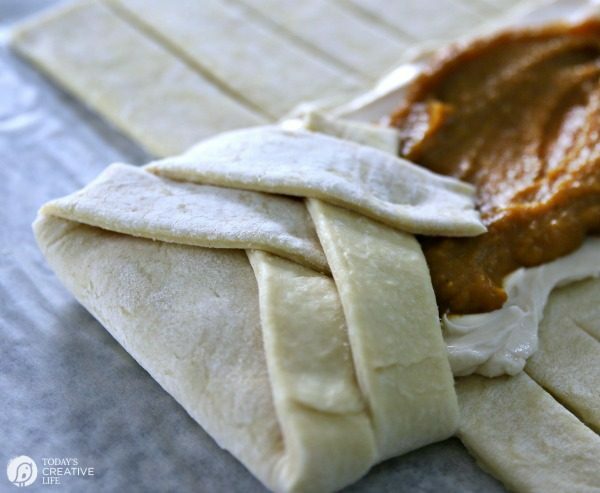 This Pumpkin Cream Cheese Puff Pastry Braid is an easy and impressive puff pastry dessert! 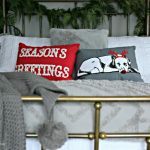 Or make it for a holiday breakfast! 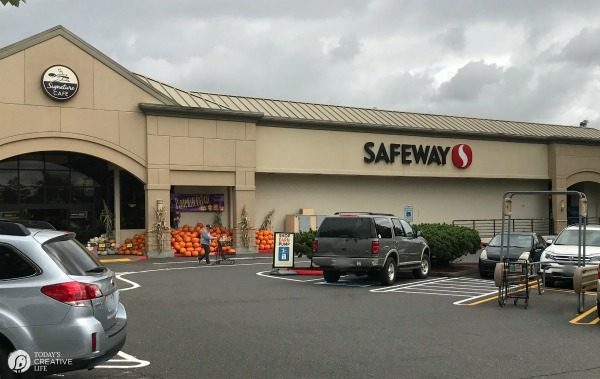 This post is sponsored by Safeway! 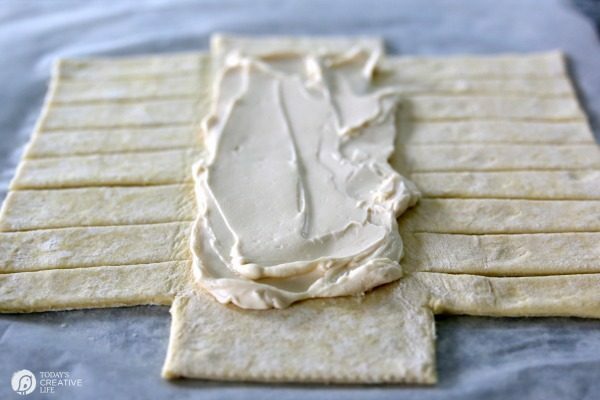 What is a puff pastry dessert? 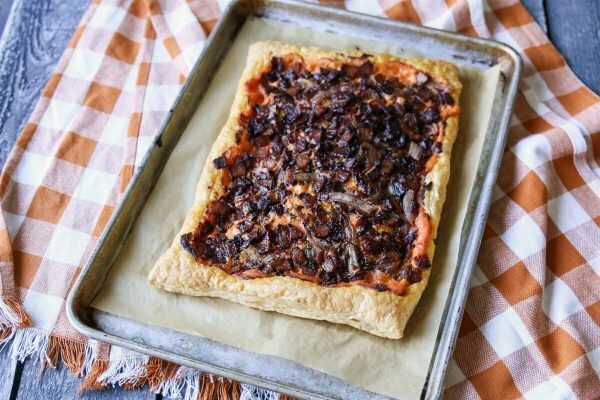 Puff Pastry is another one of my secret weapons in the kitchen. It’s honestly so easy to work with and always has impressive results. 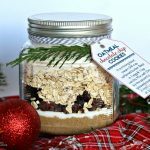 I was thrilled to work with Safeway in creating a festive dessert using their O Organics® Brand products. 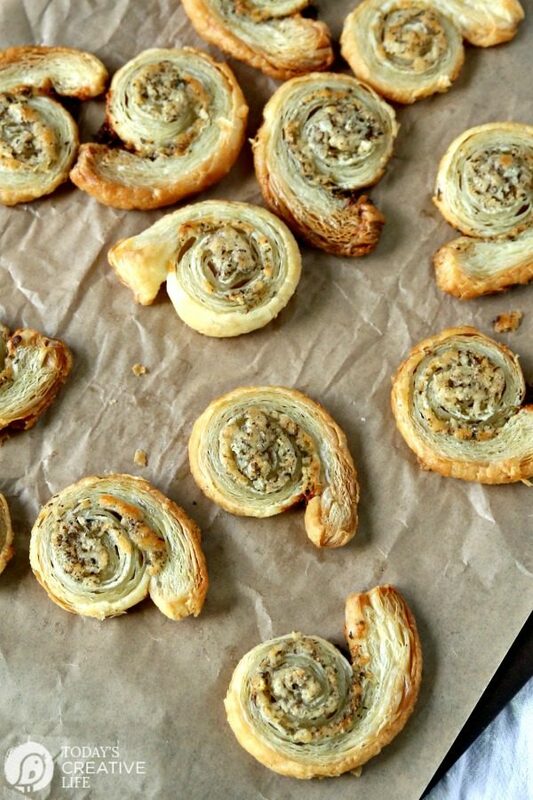 What is puff pastry used for? 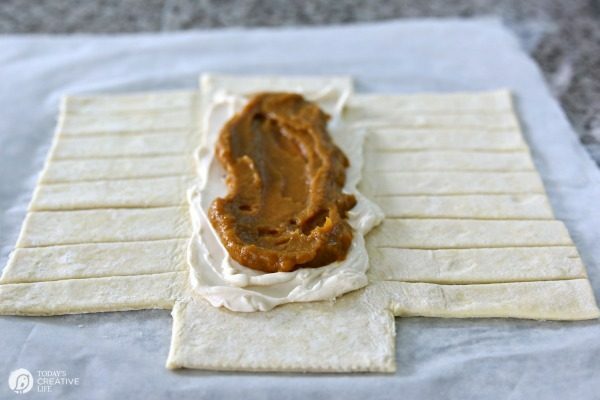 Puff pastry is very versatile! 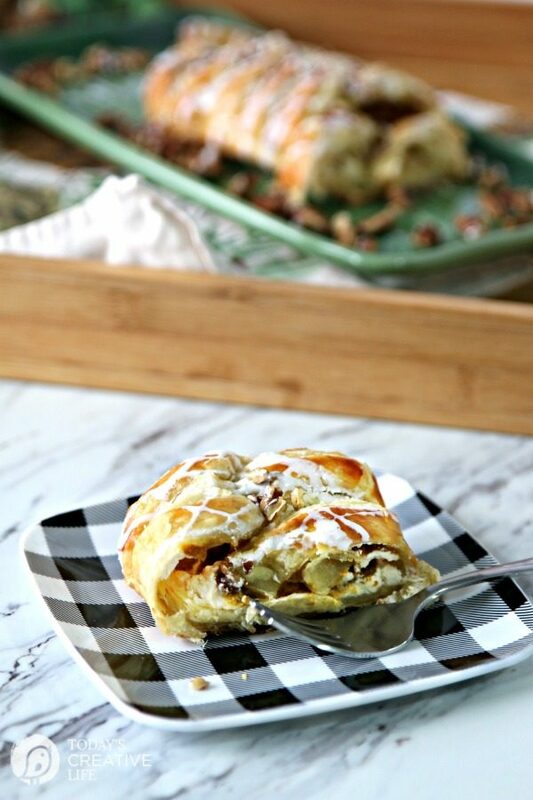 It can be used for everything from sweet desserts to savory appetizers, and even puff pastry dinners. Are pie crust and puff pastry the same? 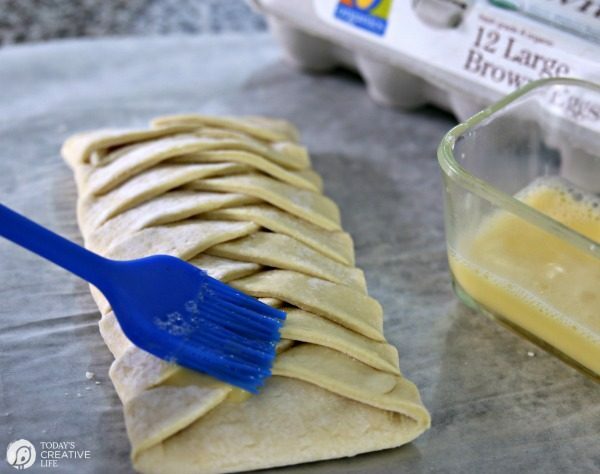 While pies need to be baked in a pan, recipes made with puff pastry are typically free-form and are baked on a sheet pan. The amount of butter used in puff pastry dough is much higher than that of a pie crust. 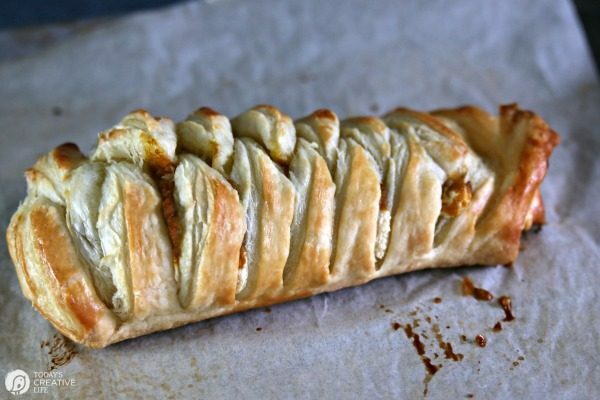 Ever since I made my first puff pastry braid, I couldn’t wait to try a more seasonal flavor, using the O Organics 100% Pure Pumpkin. My local Safeway store makes healthy eating easier with a wide variety of high-quality, affordable O Organics products, including everything you need for your favorite holiday treats, like eggs and cream cheese which I also needed for this pumpkin cream cheese puff pastry braid. If you are interested in trying Safeway’s grocery delivery this holiday season, save with Free Delivery on your first order or $25 off + Free Delivery on your 1st order when you spend $100 or more. 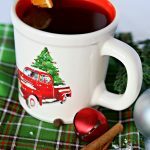 Enter promo code: SEASONSEATINGS at online checkout. Order by 1/14/18. 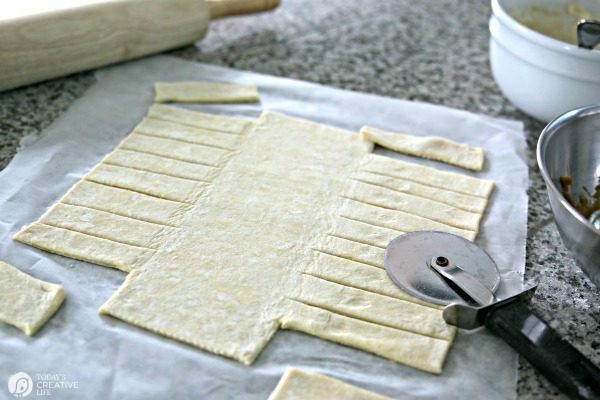 There is a printable recipe below, but here are the basic steps to making the puff pastry braid. While my puff pastry was thawing, I grabbed 2 bowls to whip up my cream cheese mixture and the pumpkin mixture. Rolling out the dough is optional. I have used it both ways and I tend to like it rolled out just a little. Just be sure to place it on parchment paper. Cut equal strips on each side and create a small notch on each end. I find that a pizza cutter works best. Sometimes a knife may pull on the dough. Smear the cream cheese first and only in the middle section. Time to add the pumpkin mixture. And sprinkle a few chopped pecans on top of the pumpkin like I show in the video if desired. 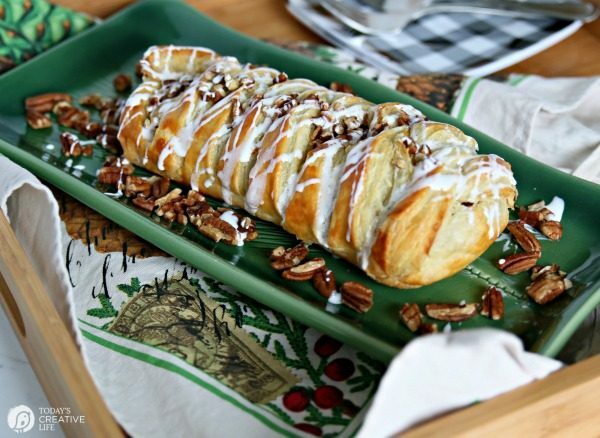 Of course, adding any kind of nut is optional, you can even swap out pecans for walnuts. Now the fun begins! 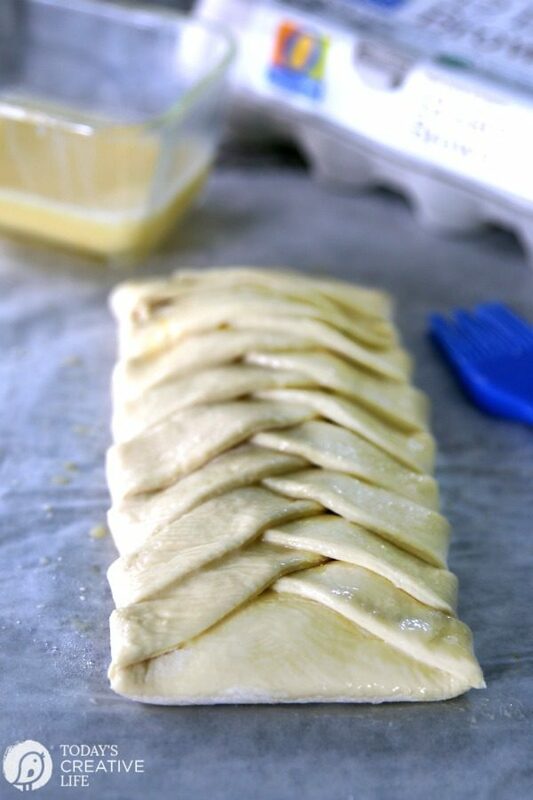 Start by folding up the end notch before braiding. Start with one side, lifting one piece and draping it at an angle. Don’t pull or press. Repeat alternating each side, layering over and at an angle. Continue until you get to the last two pieces. Fold in the notch before finishing with the last 2 strips. 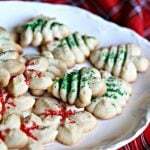 Brush with an egg wash before transferring to a cookie sheet, paper and all. Put it in the oven and bake until golden brown. While it’s baking, make the glaze. Printable Recipe below. 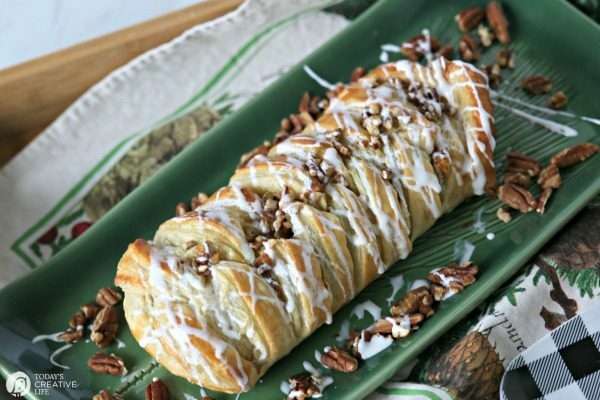 Transfer your puff pastry dessert to a beautiful serving tray, add the glaze, garnish with a few more pecans and you will look like a world famous chef! I also have a pumpkin glaze recipe if wanted. Look at that beauty! It looks like a professional pastry chef made it! Savory puff pastry recipes like this smoked salmon quiche are also great for the holidays! I buy my O Organics products at my local Safeway Store, and you can also find them at all of the Albertsons Companies family of stores, including Albertsons, Safeway, Jewel-Osco, Vons, Pavilions, Randalls, Tom Thumb, Shaw’s, Star Market, United Express, United and Carrs/Safeway. Visit Safeway.com to find a store near you and discover more meal prep tips and recipe ideas. 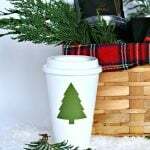 Many of the stores mentioned offer delivery. Check with your local grocery for more details. Interested in trying Safeway store grocery delivery this holiday season? In a small bowl, mix cream cheese, vanilla, and ¼ cup powdered sugar until smooth. Set aside. 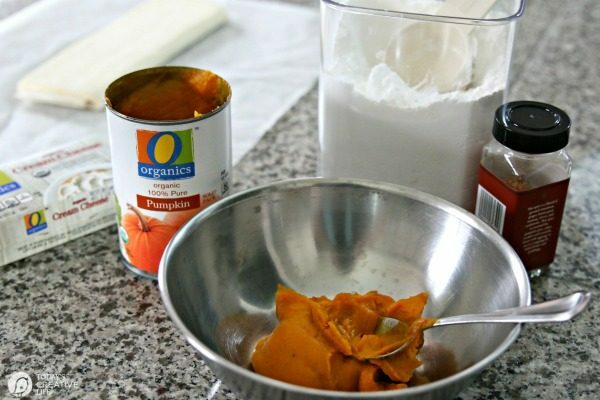 In another small bowl, mix pumpkin puree, ¼ cup powdered sugar, and pumpkin pie spice until well blended. Set aside. 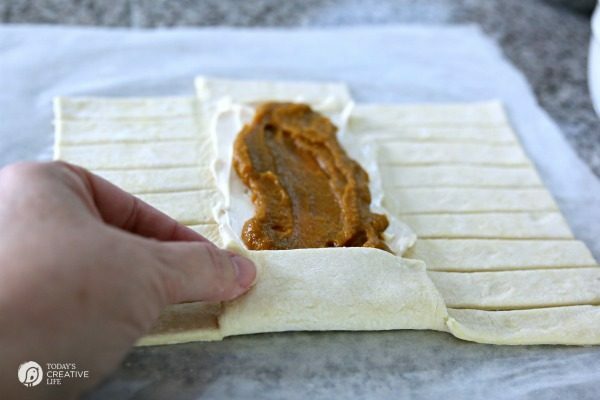 Carefully unfold puff pastry on a small sheet of parchment paper. Roll the pastry if you'd like, but not too thin. There will be 3 sections of pastry. The right side, the middle and the left side. You're going to cut strips about one inch in size on the right and left sections, using a pizza cutter or knife. Cut to where the middle section begins. Leave the middle uncut. To create a notch, remove the top and bottom strips on each end. The middle will be longer on the top and bottom. Spread cream cheese evenly onto the middle section only. Add pumpkin mixture on top of the cream cheese and spread evenly. Starting at one end, fold the notch up first, then start layering the side strips, alternating across each other as you move down creating a braid. 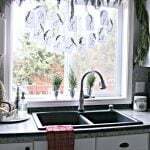 Create an egg wash by adding 1 tablespoon water to an egg and beat. Using a pastry brush, paint a light coat covering the pastry. 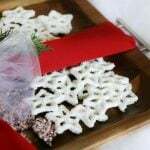 Transfer braid with parchment paper to a cookie sheet. You can also use a silicone baking mat. While the braid is baking, make up the glaze. 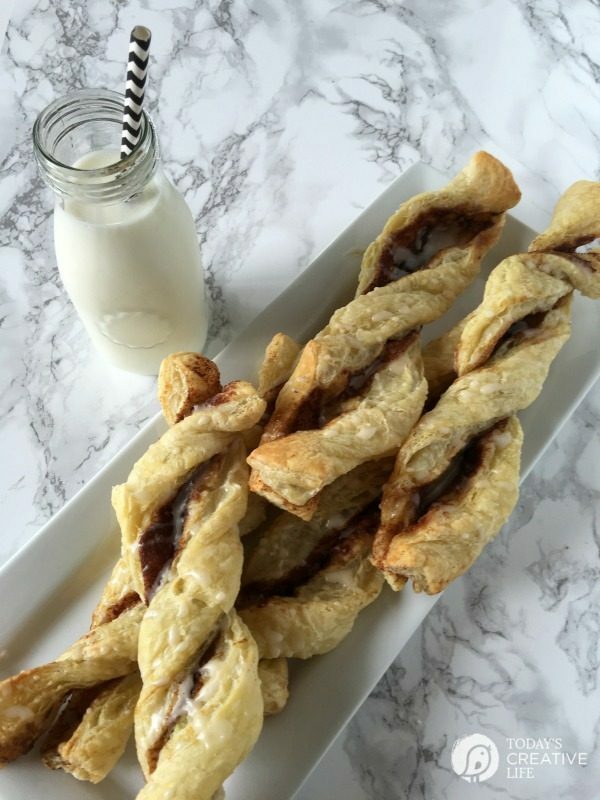 Mix ingredients together; 1 cup powder sugar, 3 Tablespoons cream cheese and 1-2 tablespoons milk until smooth, drizzle over the braid right after you pull it out of the oven. 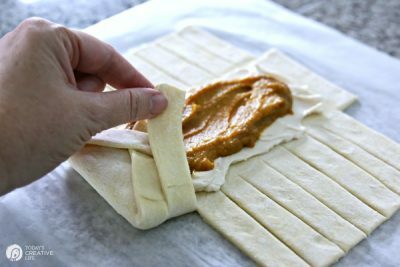 Here is an example of how to braid puff pastry. With easy recipes like this pumpkin cream cheese puff pastry dessert, holiday entertaining will less overwhelming. I’d love to hear about what your local store means to you or how it helps you in your life. Why do you like to shop your local store? This post is sponsored by Safeway and the O Organics brand. All ideas and opinions are 100% mine.